Can you tell I have a thing for peacock feathers? I think I have like 3 different peacock feather leggings. I love these because if you wear a yellow top you can make some of the color from the leggings pop. 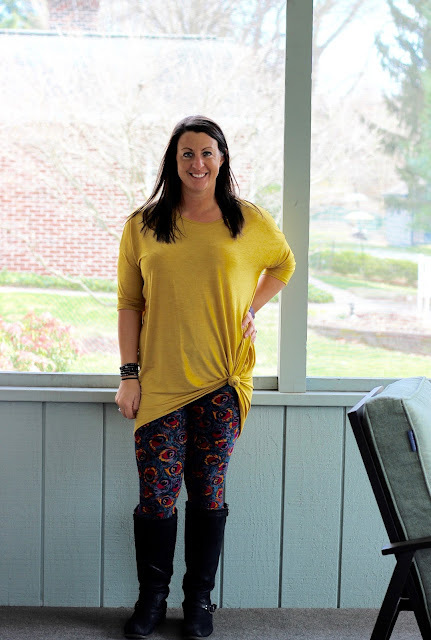 The yellow in the legging is more of an orangey color but it doesn't matter. Things don't have to be super matchy matchy people. Remember that!